Leeds United head coach Uwe Rosler has hailed the unique relationship he enjoys with the club's owner and chairman Massimo Cellino, admitting he has never experienced anything like it in football before. Cellino is a hands-on owner and admits he likes to involve himself with every aspect of a club. The Italian, an often controversial figure, regularly speaks out in the media and most recently blasted winger Sam Byram for refusing to sign a new contract at the Whites. Rosler is the fifth head coach to work under Cellino in the Italian's 18-month ownership spell, as bosses have been regularly chopped and changed. 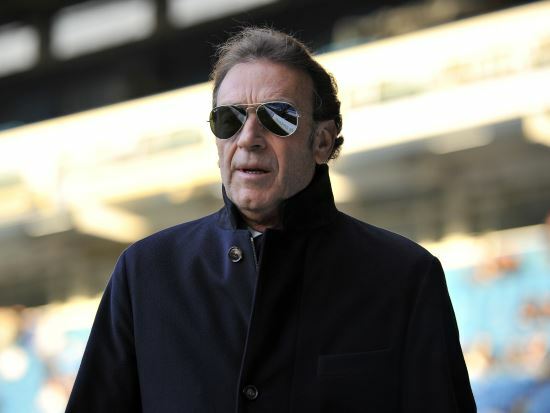 Throughout Cellino's time at Elland Road it has also been claimed in some quarters that he has an influence over team selection, despite this having been repeatedly denied. But Rosler does concede the relationship he enjoys with Cellino is something he has not known before and says he is working hard to make it the best it can be. "Both parties, Mr Cellino and myself, try to build a good relationship", he told a press conference. "He has been in the business for so long, he understands and he's working very hard to build a good relationship with the head coach; and I'm exactly the same. "We have constructive discussions and you can imagine we don't always have the same opinion. "But we respect each other and I think when we disagree on things it says in-house", the German continued. "That is very, very important. "It's a special relationship. I have not had one in that way. But it is an exciting one and a fascinating one as well, where I learn every day. "I hope it will take us where we both want to be. We both have the same passion and target for where this club should be in the next two years." Rosler's men are next in action tomorrow when they travel to high-flying Middlesbrough, aiming to extend their impressive run of results away from home, a run which has already included wins at Derby County and MK Dons.